A depiction of Edward Bruce in combat at the Battle of Faughart. Fedlimid Ó Conchobair, the Second Battle of Athenry, and the Kingship of Ireland. How the Bruce invasion sparked a bitter dynastic war in 14th century Connacht. By Adrian Martyn. The Scottish invasion of Ireland launched in May 1315, led by Edward Bruce, wreaked terrible destruction across Ireland. Generally overlooked however, because Bruce himself never went west of the Shannon, are the Connacht wars that erupted as a direct result of Scottish intervention in Irish affairs. 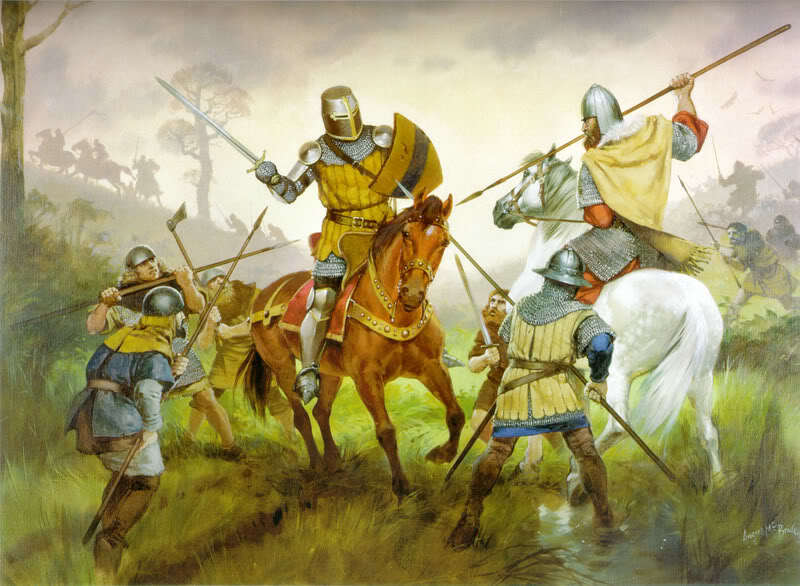 Though lasting only from September 1315 to autumn 1316 – compared with the three and a half years of the Irish Bruce wars – they were just as momentous not only locally but at a national level. While Bruce proclaimed himself King of Ireland, he could only draw upon support from central and east Ulster. It was in Connacht that a man arose who was able to draw upon support from at least three of the five old provinces, and make a far more credible case for reviving the title of (ard)rí Éirenn. Though back-dated to deep antiquity, the idea of a ‘high-king’ (ardrí) or king of Ireland was of fairly recent invention, as no single Irish dynasty had ever been able to rule Ireland as a united kingdom. Instead, anything from five to ten powerful over-kingdoms existed, consisting in turn of dozens of political communities called túatha (Gaelic Ireland’s basic political unit) . In addition to these men, the rulers of important regional kingdoms such as Airgialla, Ulaid, Mide, Osraige, Deasmuma, and Bréifne, all had to be conciliated or coerced into coalitions that supported each successive ardrí. The de Burgh dynasty’s insignia. In late summer of 1315, some twenty battalions marched north from Dublin to confront Bruce and his army, led by the Justiciar, Edmund le Butler, and the Earl of Ulster and Lord of Connacht, Richard Ruadh de Burgh. Among the latter’s ranks was the titular King of Connacht, twenty-two year old Fedlimid Ó Conchobair. Ó Conchobair was a direct descendant of Toirrdelbach Ua Conchobair, and a great-great-great grandnephew of the last ardrí, Ruaidrí Ua Conchobair. Though inaugurated as king of Connacht in 1309, his area of rule was confined to his dynasty’s ancestral homeland of Síol Murdaigh, in what is now north-central County Roscommon. And even then only at the behest of his overlord, the Earl of Ulster, who was the single most powerful ruler west of the Shannon. In Bruce’s arrival, Fedlimid saw a chance to overthrow de Burgh and become king in both word and deed. Covert talks were held between the two, resulting in Bruce agreeing to support Fedlimid as king of Connacht “if he would desert the Earl” . He assembled the men of Connacht and Bréifne, together with many gallowglasses, and penetrated to the midst of Síol Murdaigh and the rest of Connacht, and forthwith burned the town of Sligo, Ballymote, the great castle of Kilcolman, Ballintober, Dunamon with its castle, Roscommon, Randoon and Athlone, as well as all the houses which lay on his route. He then demanded [recognition of his] dominion and lordship from Mac Diarmata but got neither pledge nor hostage from him; but he took pledges and hostages of the rest of the Síol Murdaigh and was made king on Carnfree. After this he remained for some time among them, ravaging every neighbour who was not submissive to him and waiting for tidings(?) of Feidlimid and the army which was in Ulster with him. Hearing of Ruaidrí’s actions, Fedlimid told de Burgh that he was returned to Connacht immediately. But his journey back was marked by misfortune, cumulating in an attack on him by his uncle, Seán Ó Fearghail, near Granard which destroyed his company. At this point, Fedlimid gave leave to his sub-kings and chieftains to return to their homes, and make submission to Ruaidrí lest they lose all they possessed. Fedlimid’s foster-father was the formidable king of Maigh Luirg, Mael Ruanaid Mac Diarmata (MacDermot). The family had long been the principal local ally of successive kings of Connacht. Indeed it was a direct result of Mac Diarmata’s forceful personality that, following the murder of Fedlimid’s father in 1309, the sub-kings and chieftains of Síol Murdaigh agreed to make the teenage boy their king . Evidently Mael Ruanaid and Ruaidrí had a history, and it was not a loving one. Back in Ulster, Bruce had entirely routed the Anglo-Irish at the battle of Connor, capturing the Earl’s cousin and right-hand man in Connacht, Sir William Liath de Burgh. The Earl himself only just managed to escape with his life. “By devious ways” he made his way back to Connacht, which he found in utter turmoil. King Ruaidrí had attacked almost every major Anglo-Irish settlement in Connacht. Those that were not destroyed outright had suffered significant damage, of both property and people. Only the towns of Athenry, Claregalway and Galway were unscathed . So far. Its inhabitants were ever vigilant for raiders all along their watchtowers. From east of Athenry to the Shannon and from the Sliabh Aughty to the Plains of Roscommon, was the kingdom of Uí Mhaine. Rendered submissive by the kings of Connacht in the 11th and 12th centuries, its kings, the Uí Cheallaigh, had been tightly controlled by the de Burghs in turn. 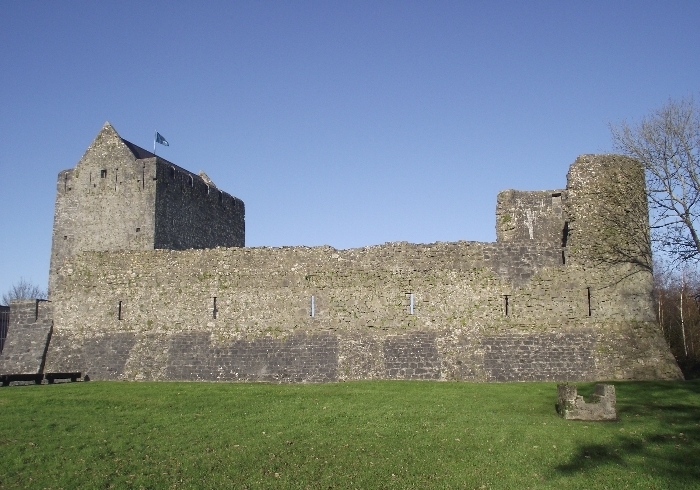 Now they rose up under Tadhg Ó Ceallaigh (O’Kelly), who deposed and expelled his cousin, King Gilbert, and set about destroying every Anglo-Irish settlement and settler in their territory, up to and including the Earl’s personal manor of Loughrea. His Gall [foreign] friends came to him from every hand, hoping that he would support and succour them, and his Gael friends came into his house likewise. Not only were Fedlimid and Mac Diarmata looking for support, but so was Gilbert Ó Ceallaigh, and the loser in the latest round of an ongoing civil war in Tuadmuma (now County Clare), Muirchertach Ó Briain. In addition to them were Gaelic de Burgh loyalists, such as the Uí Mháille, Uí Flaithbeartaigh, the Síl nAmchada, the Uí Sheachnasaigh and other septs of the southern Uí Fhiachrach. Swore he would never be reckoned among the deposed kings in any house again, but that he would go by his own action into his own territory, as fortune might grant him. De Burgh may have suffered a nervous breakdown as a result of events. The Annals of Connacht describes him as a wanderer “up and down Ireland all this year, with no power or lordship.” His major tenants and lords – de Bermingham, de Exeter, de Cogan, de Staunton, de Prendergast, Lawless, Ó Madadháin, Barrett, le Butler – all had to make do as best they could. They and the surviving de Burghs made an alliance with Fedlimid and his fellow kings. De Burgh’s weakness led to many of his sub-lords disowning their allegiance to him and to many factional struggle within Connacht. But wars were now erupting all over Connacht faster than could be counted, not all of them between Gael and Gall. Branches of the Uí Conchobair vented old feuds with each other, bringing Fedlimid into battle against the Uí Dubhda (O’Dowds), the Uí Flannacain (Flannagains) and opposing septs of the Meic Diarmata. An encounter at Cara Chula Cuirc saw Mael Ruanaid Mac Diarmata “wrathfully and banefully” betraying the officers of King Ruaidrí, and bringing a great prey to Fedlimid. The sanctity of Killaraght, Assylin, the monastery of Boyle and the churches at large, by robbing them of cattle and corn. Many afflictions in all parts of Ireland: very many deaths, famine and many strange diseases, murders, and intolerable storms as well. … [entire territories were] beggared and bare from that time on, for therein was no shelter or protection in church sanctuary or lay refuge, but its cattle and corn were snatched from its altars and given to gallowglasses for the wages due to them. Where they killed many thousand cows and sheep and horses. At that time they stripped women and ruined children and lowly folk, and never within the memory of man were so many cattle fruitlessly destroyed in one place. Ruaidrí also attacked and burned “the township of Dunmore” in what is now County Galway. In response, Fedlimid and his followers – having “all put themselves under the protection of the Galls of West Connacht” – destroyed the crops and stock of neighbouring Gaelic areas allied to Ruaidri. The first of January, 1316, fell on a Monday. The early part of the month found Fedlimid suborning “the sons of Failgech” (Mac Nally) to his side. By the middle of January, he had assembled a large army of Galls and Gaels, including Mac Feorais [de Bermingham], Mael Ruanaid Mac Diarmata and the sons of Domnaill Ó Conchobair, to contest the kingship with Ruaidrí. Ruaidrí also gathered his allies; Diarmait Gall Mac Diarmata of Maigh Luirg, Cormac Mac Ceithernaig of the Ciarraige, other members of the Meic Diarmata and Meic Connecein, and Donnchad Mac Ruaidhri – the latter with one hundred gallowglasses (gall oglaigh , Scottish mercenaries). But they were no match for the overwhelming numbers that Fedlimid had assembled, and, when battle was joined at Templetogher on 26th January 1316, King Ruaidrí Ó Conchobair was defeated and killed. Far from signalling the end of the war, however, Fedlimid used his victory both to regain the kingship and deeper his authority. All of Ruaidrí’s officers and allies had their territories plundered and forcibly acknowledged Fedlimid as king, giving him hostages who would be mutilated or killed unless they kept their word. Once his rule in Síol Murdaigh was secure, he crossed the border into Bréifne where he deposed its king and made a new one from among his vassals. Fedlimid defeated his cousin Ruaidi, but then had to fight the de Burghs in order to be King of Connacht. He started by extirpating all the Anglo Irish settlements in the province. His first target was the town and castle of Ath Leathain (now Ballylahan), a frontier settlement founded by the de Exeter (later Mac Jordan) family in the 1250’s, guarding fords on the Clonlee and Moy rivers in County Mayo. Nearby was the Dominican Abbey of Strade, founded by de Exeter’s wife, Basilia de Bermingham of Athenry. The Anglo-Irish appear to have had some warning that an attack by their recent ally was imminent. The sixteenth-century manuscript called Seanchus Burcach listed as present at Ath Leathain its lord, Stephen de Exeter (“principal of his nation” [e.g., surname] ) and his brother, Phillip. Also present was Miles de Cogan (“chief of his nation in Ireland”), Lord de Prendergast, William Lawless, Nicholas de Staunton, William and Phillip Barrett, Maurice de Rochefort and his two sons , and possibly Gerald Gaynard of Headford. But all save Gaynard were killed, along with “thirty-six burgesses of Ath-Leathain, and many others” while King Fedlimid “burned and spoiled the town.” It would never recover. With one stroke, vast swathes of the principal Anglo-Irish of Connacht were gone. Worse was to follow. Fedlimid plundered the countryside between Ballymote and Ballinrobe, making no distinction between church and lay property. He returned to his home in Síol Murdaigh “with victory and much booty.” This success galvanised the Gaelic-Irish not only in Connacht, but in what had once being the over-kingdoms of Mide and Munster, and perhaps elsewhere in Ireland. They now looked upon Fedlimid not only as rí Connachta, but as a very credible rí Éirenn. The Anglo-Irish colony must have been stunned at this sudden turn of events. In less than a year their world had been turned upside down. Not only had Fedlimid gone from vassal to overlord, he was making all the right moves in extirpating every Anglo-Irish settler and settlement in Connacht. Lesser kings and chieftains were flocking to him, and because Edward Bruce was terrorising the rest of the country, the colonists could expect no help from their people east of the Shannon. July found King Fedlimid at Meelick on the Shannon, where he successfully “burned and broke down the castle.” In an important display of his new authority, the opposing claimants to the kingship of Tuadmuma “made submission to him in opposition to each other” and abided by Fedlimid’s decision to appoint Donnchad Ó Brian its king. At a stoke, he had united under him virtually entire of the Dal gCais, factions that had been at war with each other for decades, and easily more than doubled his forces. This in turn led to still more Gaelic-Irish adherents and Scottish gall oglaigh, all of whom were mindful of the glory days of the high-kingship and wished to remove the Anglo-Irish from each of their territories. By any means necessary. Though town had been burned around it, the castle of Roscommon yet held out, and Fedlimid departed Meelick “intending to raze it.” At this point he heard disturbing news. Earl Richard de Burgh had done one thing right during his wandering, and that was sending eight ships full of commodities to Scotland (originally intended for the starving garrison besieged since September at Carrickfergus) where they were exchanged for Sir William Liath de Burgh . Second only in power to the Earl, for whom he oversaw Connacht when the earl was abroad, Sir William made straight for Connacht and began to rally the hard-pressed colony. King Fedlimid evidently knew Sir William well enough to take the threat he represented very seriously indeed. Accordingly, he decided upon crushing his designs with overwhelming force. Fedlimid called upon his subjects to assemble an army to expel him; and the army was assembled from all the region between Assaroe and Aughty. This army assembled, possibly at Ballinasloe (‘the ford of the hosts’, hosts meaning a military force), and probably marched via the Esker Riada through Kilconnell, New Inn, Raford, Kiltullagh, Esker (probable route) towards Athenry (‘ford of the kings’). Athenry had been founded by Myler de Bermingham within a few years of the invasion of Connacht in the 1230s. His grandson, Richard de Bermingham, had in 1310 obtained a license to expand the settlement from the area around the castle, parish church, and Dominican friary. This greatly enlarged Athenry would be enclosed by stone walls and towers encompassing over one hundred acres, making it the largest urban settlement in Connacht. Indeed it was one of the largest in Ireland, including Dublin itself. Given the desolation of famine and war it is not certain that the walling had finished by the summer of 1316. The castle had now risen to a height of three and a half-stories, so any enemy approaching could be seen from a great distance. But could they be defeated? This was not the first time an Ó Conchobair had attacked the settlement. On 10th September 1249, princes Aedh and Toirrdelbach Ó Conchobair – their followers including many of the grandfather’s of Fedlimid’s vassals – “made [a] hosting, to burn and pillage Athenry”. On that occasion, a bravado cavalry charge by Sheriff of Connacht, Jordan de Exeter, had resulted in an Anglo-Irish victory. But on this occasion, after so many set-backs, did the Anglo-Irish have either the bravado or the numbers? King Fedlimid and his army probably approached via the road on the Esker Riada, until they overlooked the town at Baunmore, where the town’s New Cemetery is now located. This approach would have taken them towards the town’s main gate, which faced towards Galway. Perhaps it or the wall in this area was not fully completed, or there was some other reason why they should attack from “in front of the town” (as reported in the Annals of Connacht), because the castle is located at the other end of Athenry. For all that the lead-up and aftermath of the battle of Athenry are so well documented, the events of the battle itself are a mystery. No surviving folklore in the area can be connected with the battle. Even the battle site is uncertain. No mass grave of combatants has yet been uncovered, despite decades of urban sprawl and development beyond the town walls, which are 70% intact. To date, no in-depth study exists of the events of that day, its prologue and aftermath. The Battle of Athenry is little documented, but it was certainly a crushing defeat for the Gaelic Royal army. For these and other related reasons, a closer examination of the events that occurred at Athenry, on and about Tuesday 10th August 1316, must await another occasion. All that can be said is that for King Fedlimid Ó Conchobair of Connacht, something went hideously wrong. The Gaels were defeated and Fedlimid Ó Conchobair, who was king of Connacht and entitled to become King of Ireland without opposition [my emphasis], was killed there and Tadgh Ó Cellaigh, king of Ui Mhaine fell with him [actually he didn’t but that’s another story], together with twenty-eight men who were entitled to succeed to the kingship of Ui Mhaine. These deeds were done on the day of St. Laurence Martyr. Fedlimid was a man of twenty-three when he was killed, and he reigned for five years till Ruaidri son of Cathal usurped the kingship from him for half a year, and he reigned again for half a year after Ruaidri’s death till he was slain in this battle of Athenry. Athenry was long remembered as one of the bloodiest battles ever fought in Ireland, till overtaken in popular memory by Knockdoe in 1504 and Aughrim in 1691. Coincidently, all three were fought in County Galway. As the oldest, it is however the most forgotten in modern memory. The casualties suffered by the Gaelic-Irish must have certainly been in the low hundreds. All figures given in contemporary annals speck of anything from three to twelve thousand deaths. Given the low population of Ireland at the time, these figures are almost certainly far too high. But they do give the impression that, by 14th century standards, a very high number of deaths had occurred. Whatever manoeuvres they had done obviously worked wonders for the Anglo-Irish. The only notable casualty on their side was Gerald Gaynard. Richard de Bermingham lived on to 1322, with the last of his senior male-line descendants dying in 1799. Though many more Ó Conchobair’s would fight and die for the kingship, Fedlimid was the last king of Connacht worthy of the title. The last so-called died in the 1470’s, by which stage the dynasty had sub-divided into three or four sub-septs, ever feuding with one another. By then, the title of ‘king’ had long fallen out of favour among the Gaelic-Irish, being replaced with the more realistic appellation of ‘chief of the name’, as they regressed from kings to warlords. The real winners at Athenry included the Uí Cellaigh and the Uí Briain, who were able to keep their respective kingdoms free from Anglo-Irish and English interference for over two hundred years. In both Ui Mhaine and Tuadmuma, Gaelic culture and arts would flourish, all as a direct and indirect result of the events at Athenry. Athenry itself never quite took off as much as Richard de Bermingham hoped – that would be the fate of the more independent, neighbouring town of Galway. However, for over two hundred years it was a prosperous, peaceful market town, till the terrible events of the sixteenth century overwhelmed it. Among the losers, oddly enough, was the senior line of the de Burgh family. Earl Richard never recovered and died a broken man in 1326. He was succeeded by his grandson, who was murdered at the behest of Sir William Liath’s daughter in 1333. 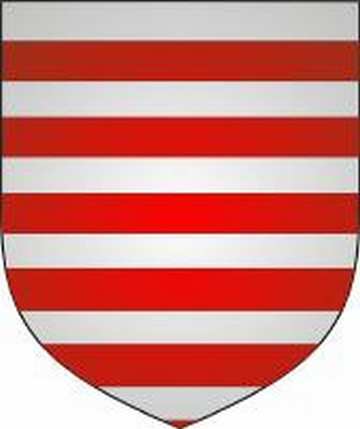 As a result, the Earldom and Lordship collapsed, the junior lines of the de Burgh family fighting with each other till three septs emerged, based in north Connacht, south Connacht, and County Limerick respectively. As Bourke and Burke, the family and their dozen or so offshoots are found there to this day. Also found in Connacht are the descendants of virtually all the Anglo-Irish families mentioned, some under new names. De Exeter has become Jordan, de Cogan is now Goggins, and de Staunton sometimes rendered as MacEvilly. Likewise, de Prendergast has become Morris, while Roche, Butler, Gaynard, Lawless, Barrett and McNally (Gaelic name, but of British descent) are all found in greater or lesser numbers. Fedlimid’s foster-father, Mael Ruanaid Mac Diarmata, died as king of Maigh Lurg in 1331, having ruled for thirty-seven years, aged at least sixty-seven. He was succeeded by his son, Tomaltach. His descendants, the MacDermotts, still live in great numbers in north and central County Roscommon. 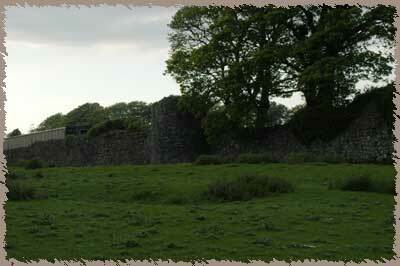 As for Edward Bruce, he was defeated and killed at Faughart, near Dundalk, in October 1318. The victor was Richard de Bermingham’s cousin, John de Bermingham, who was created Earl of Louth for his trouble. was the common ruin of the Galls and Gaels of Ireland … and never was there a better deed done for the Irish than this, since the beginning of the world and the banishing of the Fomorians from Ireland. For in this Bruce’s time, for three years and a half, falsehood and famine and homicide filled the country, and undoubtedly men ate each other in Ireland. The days of the great Gaelic-Irish over-kingdoms had truly gone, and with them was any realistic possibility of a sovereign, Gaelic, united kingdom of Ireland. Instead, the Gaels had to find some way to live alongside these new nations of English, Scottish, and Welsh on the island. Ach sin sceal eile. Fedlimid was survived by at least one son, Aodh, who sired the Ó Conchobair Ruadh line. From Aodh’s first cousions Aodh and Ruaidhri sprang the Ó Conchobair Donn (O’Conor Don) lineage. By the 19th century, all notable Ó Conchobair septs but the latter had either died out or fallen beneath the regard of genealogists. Yet the notion of an Ó Conchobair king of Connacht or Ireland died hard. In 1643, a member of the family was alleged to have been inaugurated at Carnfree, just as had Fedlimid in 1309 and Ruaidrí in 1315. During the rural disturbances of the 1820s, an invitation was sent by locals to Matthew O’Conor Don, wishing to make him their king and represent their grievances. As late as 1919, members of the first Dail seriously considered giving the crown of Ireland to the then O’Conor Don. That the position eventually became that of an elective president rather than a hereditary king – as is the case in republics such as Spain – had less to do with Irish notions of republicanism as with the then O’Conor Don, who politely refused for reasons of his own. Could Fedlimid have used the kingship of Connacht as a springboard to the national monarchy, as had his ancestor Toirrdelbach? Such a notion may not be as far-fetched as first it seems. Edward Bruce’s brother was able to revive kingship in Scotland in that era from even more pressing odds – namely, King Edward I of England (‘Longshanks’ to Braveheart fans). Before the advent of Toirrdelbach Ua Conchobair, Connacht had been regarded as a backwater compared to the mighty kingships of Tara and Cashel. With the subsequent collapse of Anglo-Irish Ireland over the next thirty years, a still youthful, energetic and resourceful king could very well have entirely reversed the English crown’s advance in Connacht. And perhaps beyond. Who knows how history might have been written, but for the mysterious events that occurred in August 1316, somewhere on the fields around Athenry? Adrian Martyn is an independent historian based in Galway. You can read more articles by him here. This article has been written expressly for the non-medievalist, and thus footnotes have been kept to a minimum. All annalistic extracts quoted are from the Annals of Connacht 1224-1544 (edited by A. Martin Freeman, Dublin, 1944) unless stated; an online version can be found at CELT. The quoted extracts has had forenames and surnames regularised with the rest of the text by the author. This article is based upon Apocalypse, Chapter Three of The Tribes of Galway: Volume One 1124-1642 (forthcoming, Arlen House, 2013). A version of said chapter, titled English Rebels, Irish Enemies, was published online at The Galway Review in November 2012. An earlier series of articles dealing with the events leading up to the battle were published in the East Galway News and Views (now the Athenry News and Views) in 2008 and 2009. A commemoration publication by myself is planned for the seven hundredth anniversary of the battle in August 2016. Nicholls’s (1972) work remains the ideal, easy-to-read starter’s guide to Gaelic Ireland, as is Frame (1981) for an introduction to English Ireland. Byrne (1973) and Simms (1987) are essential for a deeper understanding of the society the preceded and succeeded the events of 1169. Ó Corráin (1978) details Gaelic conceptions of kingship prior to that date, while Tanaka examines the Gaelic notions of nationhood in the era. Verstraten impressively personalises the 13th-century Connacht kingship with a profile of Fedlimid’s namesake and great-great granduncle, Fedlimid Ua Conchobair (reigned 1230-31, 1233-65). Duffy (2003) and chapters 7, 9, and 10 in Cosgrove (1987) details with clarity the Bruce Invasion of Ireland and its terrible effects. Lastly, Salter (2004) is essential for any coverage of castles of any date in Connacht, and is one of a series dealing with each province in Ireland. From Kings to Warlords: The Changing Political structure of Gaelic Ireland in the Latter Middle Ages, Katharine Simms, 1987. Robert the Bruce’s Irish Wars: The Invasions of Ireland 1306-1329, Seán Duffy, 2002. The Castles of Connacht, Mike Salter, 2004. 1 – pp. 253-54, “Kings and Kingship” by Bart Jaski, in Medieval Ireland: An Encyclopedia, ed. p. 192, 193, 208 (for Ruaidrí Ua Conchobair). Tigernain hui Ruairc, qui fuit f[o]mintum o[m]nium, totsi fere Hiberniae mesariae agus triana hindarba Diarmada acibid a tri[a]ll iar dain tar muir co tag-sidi Galla leis a nEirinn./Tigernán ua Ruairc, who was the instigator of all, nearly all, the miseries of Ireland, that is by the expulsion of Diarmaid, it happened that he journeyed over the sea after a time, and brought the foreigners with him to Ireland. -Century Ireland: The Dublin Parliament of 1297, edited by James Lydon, Dublin, 1997. 5 – Annals of Connacht, 1315.5, pp. 232-33. 7 – Annals of Inisfallen 1315.2. 8 – See Index II, “Place and Population Names”, p. 831, 844, Freeman, 1944. Raghallaigh, pp. 50-60, 101-37, 30-51, 142-67, JGAHS vols. 13 and 14, 1922-29, 1928-29. 10 – pp. 134-35, op. cit. first MacWilliam of Lower Connacht. Clans such as Mag Ragnaill (Reynolds), Ó Baigill (Boyle), Ó Mailmuaid (Mulloy), Mag Mathgamna (MacMahon), Ó Dega (O’Dea), Mac na Mara (MacNamara), Ó Madadháin (Madden), Ó Mannion (Mannion), Ó Fahy (Fahy), Mac Aedacain (MacEgan), Ó Dobailein (Develin), and Ó Connallain (Connellan) are all known, or are strongly suspected, of joining Fedlimid’s army. 13 – The dead included Magnus son of Domnall Ó Conchobair, taniste of Connacht, was killed, as were Art Ó hEaghra, king of Luighne, Maelsechlainn Carrach Ó Dubda, Muirchertach son of Conchobar Ó Dubda, Conchobar Óc Ó Dubda, Diarmait Mac Diarmata, an eligible prince of Maigh Luirgh, Muirchertach son of Taichlech Mac Diarmata, Muirchertach son of Diarmait son of Fergal [Mac Diarmata], Maelsechlainn Oc Mac Magnusa, Sean son of Murchad Ó Madadháin, Domnall son of Aed Ó Con Cheanainn, king of the Ui Diarmata, and Muirchertach his brother, Murchad Ó Madadháin, Domnall Ó Baigill, Donnchad Ó Mailmuaid and his followers, the son of Murchad Mag Mathgamna and a hundred of his men, Niall Sinnach, king of Tethba, and his followers, Fergal son of Seoan Gallda Ó Fearghail, Uilliam son of Aed Óc Ó Fearghail, Tomas son of Amlaib Ó Fearghail. Five of the Clann Donnchadha fell there, viz. Tomaltach son of Gilla Crist Mac Donnchadha, Murchad Mac Donnchadha, Conchobar son of Tadc, Muirchertach and Maelsechlainn Mac Donnchadha. Eoin Mac Aedacain, brehon to Ó Conchobair, Gilla na Naem son of Dail re Docair Ó Dobailein, the standardbearer, and Tomas Ó Conallain fell around their lord. publications are available in reprint, and very highly recommended. Written by: Publisher on 25 February, 2013. Last revised by: John_Dorney27 March, 2017. 3 Responses to "One King to Rule them All – Edward Bruce and the Battle of Athenry 1316"
That is not the de Burgh coat of arms, but the de Barry one. 1 am connected to the Mcmanus clan of north east Roscommon who I have read were somehow related to the medieval rulers of connacht. Does anyone know about this clan?